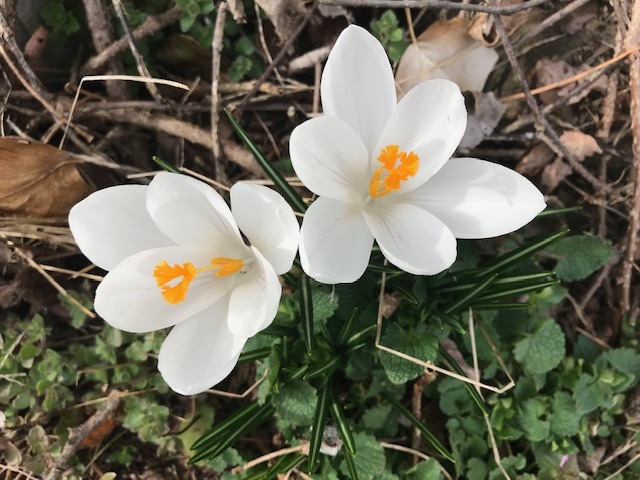 As beautiful flowers keep popping up all around us signaling Spring has arrived, may all members of our church family, visitors, neighbors and friends have a warm, safe, and enjoyable 2019 Spring season! John Sinnott III (Johnny) of Thousand Palms, CA passed away suddenly on March 21st, 2019 at his home. Both he and his beloved husband, Jonathan Ford, remained members of our church though they had moved out of the state. To this day our members fondly referred to the couple as “John ‘n John”. A private family service is being planned for a later date. Linda Kelly Mickey (Falling Waters, WV) joined her Lord on Sunday, March 31st, 2019. Linda is the mother of Lisa and (son-in-law) Bob Gough, members of Christ Reformed United Church of Christ (Martinsburg). Linda is remembered with fondness and how she greeted others attending Sunday worship services with a most memorable and delightful smile. Fellow church members joined her family and friends during evening Visitation at the Brown Funeral Home in Martinsburg on Thursday, April 4th; funeral service there on Friday, April 5th ; and afterwards, all were welcomed to attend a reception at Christ Reformed United Church of Christ, 117 E. Burke Street in Martinsburg. None in effect at this time. Previous: Previous post: Welcoming the New Conference Minister!